CONS ECO PLAST SRL is a small company with 10 employees in Falesti town, northern Moldova. 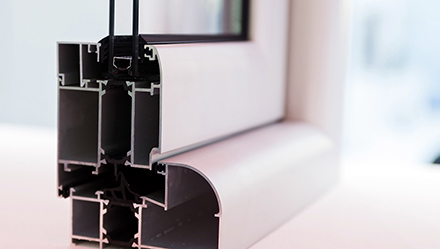 The company has manufactured plastic and wooden doors and windows since 2011. The products meet high energy efficiency standards; therefore, the company was listed in the Technology Selector – the online list of pre-approved high performance technologies – under another credit line facility from the EBRD, dedicated to energy efficiency investments in the residential sector of Moldova. The company applied to MoSEFF for financing of two woodchip-fired boilers for heating of its production buildings and for hot-water production in the administrative buildings. The new boilers will replace the existing outdated coal-fired heaters. The MoSEFF engineering team assisted the company with verification of the technology, its technical and economic parameters and profitability. Given the availability of wood chips as a by-product of the manufacturing process, the company will significantly reduce its energy bill by utilising the waste for energy production. The €6,650 investment led to the complete elimination of fossil fuels for heating and will repay itself in just 2 years from the energy savings only. Thanks to the project, the company decreased its energy bill, became energy independent and self-sufficient, solved the issue of waste utilisation and improved the working conditions for its employees. The EBRD, through MoSEFF, supports the sustainable financing and implementation of energy efficiency and renewable energy projects in the private sector in Moldova. Together, the private, residential and public sectors can make a change in energy consumption patterns and contribute to environmental protection. This project was supported by the European Union (EU).